I was so intrigued while reading this study and source links posted below. I love seeing low-carb studies that focus on benefits other than weight loss, because in truth, that's the tip of the Greenland-esque iceberg my friends. Of course, I'm speaking from a keto-based perspective where during a low-carb diet, you're eating 75% healthy fats for energy instead of glucose. And that's really the root of my love affair with eating low-carb/high-fat: inadvertently decreasing sugar intake - which is 100% my main goal. A lot of people think a keto-based diet isn't sustainable - and listen, I totally get that because guess what - it's not for everyone! Just like vegan, vegetarian, paleo, [enter lifestyle eating plan here] isn't for everyone. Because hey, spoiler alert: EVERY BODY IS DIFFERENT. With different needs. Different goals and health requirements. It's just about finding what works best for you and what you can see yourself doing long-term. For me, keto has worked wonders because 1) I had insulin resistance issues and 2) I tailored it to my specific needs (99% dairy free, gluten free, LOTS of green leafy veggies, doing the work and coming up with tastyAF recipes and alternatives if i do say so myself 😏). Not to mention, it's not like I went keto cold-turkey/overnight. I think that's a very important point to take into account as well. I was eating a pretty healthy diet for YEARS prior to my keto journey but was not seeing any results because of my insulin resistance issues (that I've only discovered this year). I tried vegetarianism, omitted red meat for over 8 years, was dairy free - the list goes on. This has truly been a JOURNEY for me that has taken place over years. And most definitely NOT over night. I really believe that taking small steps in the right direction is key when it comes to health and wellness. Everyone say it with me: patience and consistency! Because that's what really works, at least in my experience! Here are the cliff-notes of the study along with the original links if you wanna check them out! Prediabetes is a condition defined as having blood glucose levels above normal but below the defined threshold of diabetes. It’s considered to be an at-risk state, with high chances of developing diabetes. Without intervention, people with prediabetes are likely to become type 2 diabetics within 10 years. For people with prediabetes, the long-term damage to the heart and circulatory system that is associated with diabetes may have started already (2). Researchers from the University of Missouri School of Medicine recently found that while men may lose more weight on low-carb diets, women actually see better improvements in artery flexibility. It's a finding that may help pre-diabetic women reduce their risk for heart disease through a low-carb diet. IS ARTERY FLEXIBILITY A GOOD THING? Previous research has shown that as women age, their blood vessels stiffen more so than men, putting them at an increased risk of heart disease. According to Elizabeth Parks, PhD and professor of nutrition and exercise physiology at Missouri University - contrary to what you may think, you actually don't want stiff blood vessels. Instead, you want flexible vessels that expand slowly as the blood flows through them. Their study found that low-carb diets helped reduce the stiffness of arteries in women, which can, in turn, reduce their risk of developing serious heart conditions. As a way of example, Parks uses an interesting and easy to understand analogy. She compares good vessels to be like a rubber hose and aging vessels to become stiff, like a plastic pipe. As water pours through a rubber rose, it bends and flexes. However, when you pour water through a solid pipe, the water travels very quickly through the pipe, which isn't ideal. For good health in the human body, we want flexible, pliable, resilient arteries. 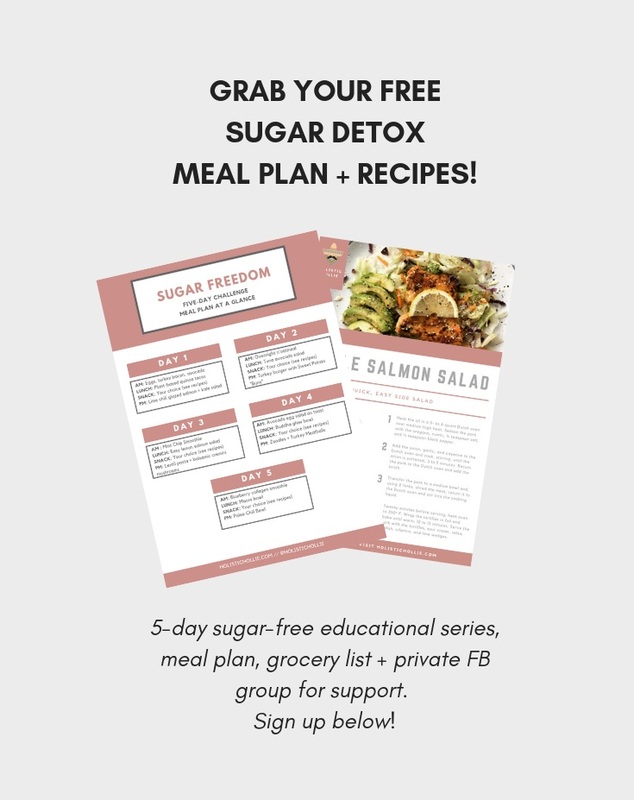 As part of the study, 20 middle-aged, pre-diabetic men and women were given carb-restricted meals provided by the Missouri University Nutrition Center for Health for two weeks and were supplied meal planning instructions for an additional two weeks. Over the four-week period, the men in the study lost 6.3 percent of their body weight, while women lost 4.4 percent. However, using an arterial stiffness measurement called pulse wave velocity, the women showed reduced blood flow speeds of 1 meter per second, while men showed no changes in blood flow speed. Interesting hey?! Thanks so much for reading, hope you enjoyed this little study and learned something new today! 1.Tabák, Adam G. et al. “Prediabetes: A High-Risk State for Developing Diabetes.” Lancet 379.9833 (2012): 2279–2290. PMC. Web. 28 July 2018. 2.Bansal, Nidhi. “Prediabetes Diagnosis and Treatment: A Review.” World Journal of Diabetes 6.2 (2015): 296–303. PMC. Web. 28 July 2018. 3. University of Missouri-Columbia. "While men lose more weight on low-carb diets, women show improved artery flexibility: Study first to show that low-carb diets can improve blood flow in as little as four weeks." ScienceDaily. ScienceDaily, 17 July 2018. <www.sciencedaily.com/releases/2018/07/180717112456.htm>.